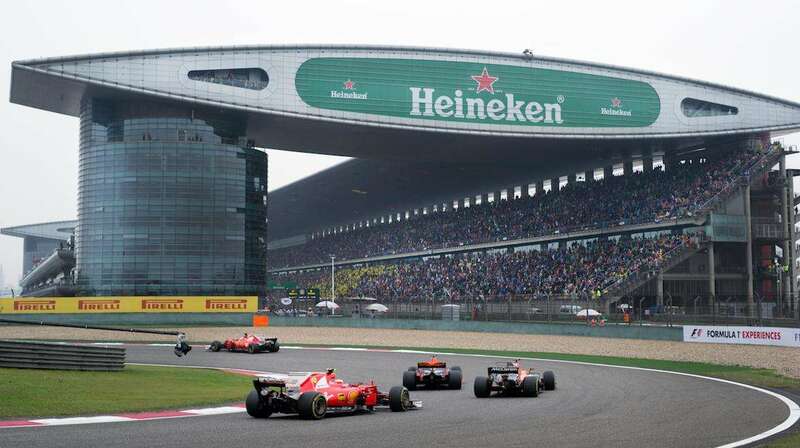 Built at a cost of almost $500 million, the Shanghai International Circuit is located on the outskirts of Shanghai, one of the largest cities in the world with a population of over 24 million. The circuit was designed by Hermann Tilke and was built on reclaimed marshland. The first race was held in 2004 and won by Rubens Barrichello in a Ferrari. 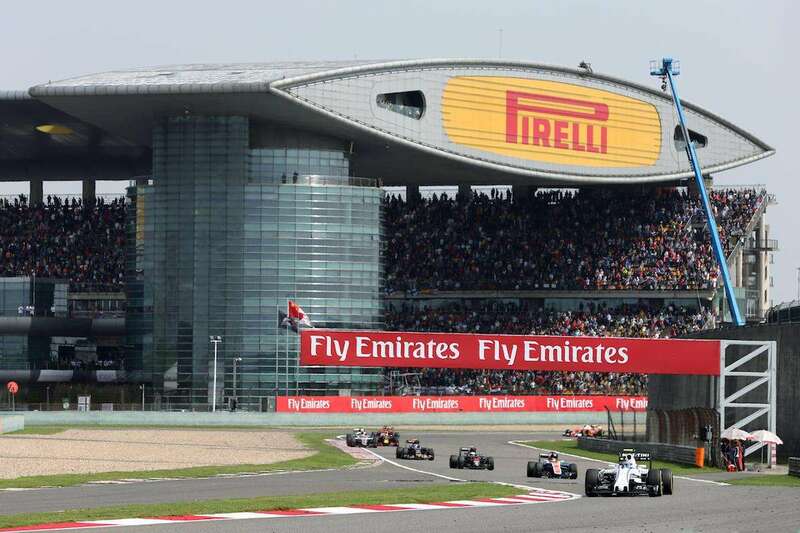 With a capacity of 200 000 spectators, the Shanghai circuit is the largest on the current Formula 1 calendar. But after drawing in excess of this number for the inaugural race weekend in 2004, attendances have never reached capacity since and are now approximately 140 000 for the whole weekend. In September 2017, the organizers of the Chinese Grand Prix signed a new 3-year contract with Formula 1 to guarantee the event until at least 2020. Chinese Grand Prix: did you know? Michael Schumacher recorded his last race victory at the Shanghai circuit in 2006. The Chinese Grand Prix was also the venue for the first victory of the Red Bull team (2009) and Nico Rosberg (2012). After their first victory in 2009, the British national anthem was incorrectly played on the podium for Red Bull. Though the team’s base is in Britain, the team itself is registered with the Austrian national racing authority, meaning the Austrian national anthem should have been played. 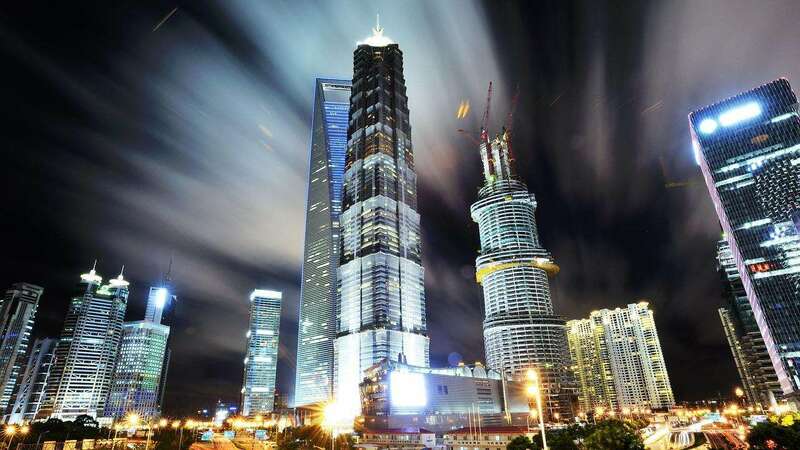 The circuit layout is based on the Chinese ‘Shang’ (上) character , which means ‘to ascend’ and also gives Shanghai its name. The circuit, comprised of a series of long straights plus two 270 degree corners, is notoriously difficult on tires and brakes. Lewis Hamilton is by far the most successful driver in Shanghai with over double the number of wins of any other competitor at the track. He’s taken five victories in China (2008, 2011, 2014, 2015, 2017). Hamilton is also the only driver to have taken the fastest lap of the race here more than once, having done so four times (2008, 2010, 2015, 2017). Mark Webber’s grid position of 18th in 2011 is the furthest back on the grid a podium finish has come from at the Shanghai circuit. He gained 15 places in the race to stand on the final step of the rostrum. For the past two seasons (2017 and 2018), Mercedes have led the Constructors’ Championship by a single point after the Chinese Grand Prix. In 2006, Renault also led the way by just one point after the Shanghai race. Lewis Hamilton’s unfortunate DNF here in 2007 is the only time the polesitter at the Chinese Grand Prix has failed to finish the race. Ferrari have had the most podium finishes here, with 12. Mercedes trail them with 10. 2006: Schumacher’s final victory: Michael Schumacher’s first two visits to the Chinese Grand Prix were far from successful. In 2004 he finished a rare lap down on the winner in twelfth place, while a crash with Christijan Albers on the way to the grid in 2005 ensured a difficult afternoon starting from the pit-lane, with him eventually spinning out of the Grand Prix. The Ferrari ace put that right in 2006 though, as he claimed his 91st and final Formula 1 victory. The race also saw Jenson Button pulling off a masterclass in overtaking. 2007: Hamilton’s pit-lane calamity: As the penultimate round of the 2007 season, Lewis Hamilton headed into the Chinese Grand Prix as the comfortable championship leader with an opportunity to secure the title. He appeared unstoppable as he took pole position for the potentially title-deciding race. With his tires suffering extreme wear, McLaren kept Hamilton out for further laps. The decision proved to be costly, as the Brit slid off the track at the pit-entry, getting beached in the gravel. As a result, Kimi Raikkonen took a crucial win, while Hamilton still led the championship, but by only four points from his team-mate Fernando Alonso. 2009: Red Bull take their first win: Sebastian Vettel claimed Red Bull’s first victory at the 2009 Chinese Grand Prix. Due to the weather conditions, the race had started behind the Safety Car, with Vettel on pole. There were plenty of incidents due to the rain, with both Jarno Trulli and Adrian Sutil wrecking their cars after being caught out by the tricky conditions. Not even a slight coming together with Sebastien Buemi could stop Vettel taking a famous victory on only his third appearance with the Red Bull team. 2010: Buemi loses his wheels: Toro Rosso’s Sebastien Buemi had a scary moment in Friday practice at the 2010 Chinese Grand Prix. Under braking at the end of the circuit’s 1.17km long straight, a suspension failure saw the front wheels fly off the Swiss driver’s car as he braked for the hairpin. Luckily, the car slowed sufficiently enough to avoid a huge accident, though the detachment of the tires looked dramatic. 2018: Ricciardo wins from sixth: After nearly missing qualifying due to an engine issue, Daniel Ricciardo took an unexpected victory in the 2018 race at Shanghai. Sebastian Vettel took pole and led for the early stages, but it was Valtteri Bottas who emerged in front after the first round of pit-stops. A tangle between the Toro Rosso drivers saw the Safety Car called out, with perfect timing for the Red Bull drivers, who pitted. As his team-mate clattered into Vettel’s Ferrari, Ricciardo diced his way through the field, pulling off a daring move on Bottas to take the lead, where he remained for the rest of the race. Ricciardo was the first driver to win the Chinese Grand Prix from as far back as sixth on the grid since Michael Schumacher in 2006. Do you know if there is a pitlane walk on Thursday?